Guided by her philosophy “A room should awaken the senses,” Galli’s goal is to cast a spell with her interior designs. In her new book Magical Rooms: Elements of Interior Design, Brooklyn-based designer Fawn Galli, known for her witty and whimsical interiors with a bohemian flair, shows how to create magical rooms without breaking the bank. Using twelve very different interiors—from a Brooklyn townhouse to a Tribeca loft to a Greenwich Village apartment to an Upper West Side penthouse, Galli illustrates how she has achieved the finished look for each and breaks down her design principles into instructive teachings on scale, structure, balance, and color, which readers can apply to their own interiors. 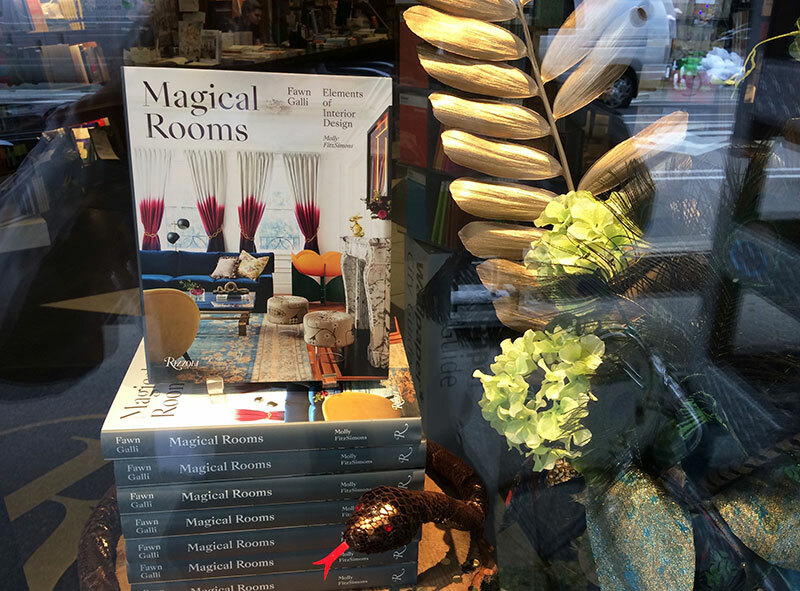 Magical Rooms is being featured in Rizzoli’s windows, and the new 240-page book, published on March 19th in hardcover, is currently available for purchase for $45.00. Fawn Galli, who has been a tenant in 1133 for the past eight years, has had her work featured in Elle Décor, Architectural Digest, House Beautiful, Lonny Magazine, Domino, New York Times, and the Wall Street Journal, among other outlets.